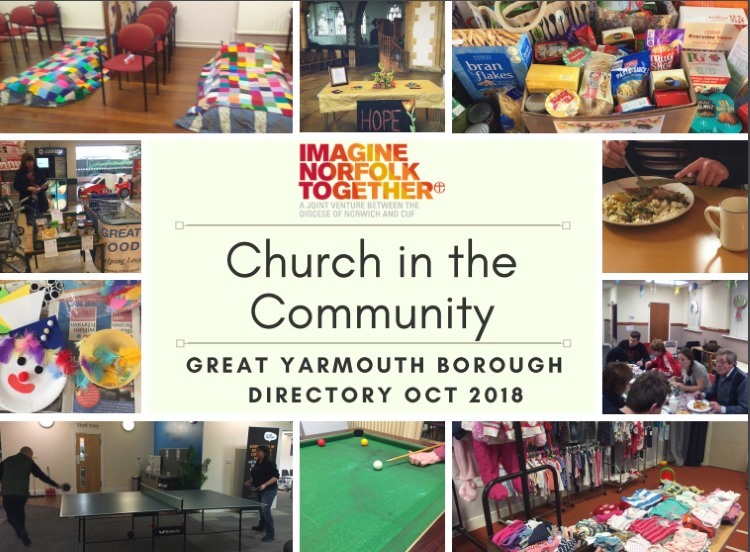 Imagine Norfolk Together have published 'Church in the Community', a directory of services provided by churches in the Great Yarmouth area, and many have been surprised at how much community action they are involved in. “The directory emerged out of the Community Ministry Breakfasts that I run and a desire from the members there to have a combined list of everything the churches are doing to demonstrate the love of God in the local community." You can access the “Church in the Community” Directory by following this link or visit the Imagine Norfolk Together website. This article comes courtesy of Network East Norfolk.